Just to declare various conflicts of interest: I regard Gregg Gordon, CEO of SSRN as a friend and have always been impressed at what he has achieved at SSRN. From the perspective of what is best for the services SSRN can offer to researchers, selling to Elsevier was a smart opportunity and probably the best of the options available given the need for investment. My concerns are at the ecosystem level. What does this mean for the system as a whole? The first two paragraphs of this post have been edited following its initial posting. The original version can be found at the bottom of the post. The response to the sale of SSRN to Elsevier is following a pattern that will be very familiar to those who watched the sale of Mendeley a few years back. As I noted in my UKSG talk we face real communications problems in scholarly communication because different groups are concerned about very different things, and largely fail to understand those differences. These plays out in commentary that argues that “the other side” has “failed to understand” the “real issues” at stake, and mostly missing the issues that are at the centre of concerns for that “other side”. To be clear, obviously I’m doing exactly the same thing in this post, it’s just that I’m pointing the finger at everyone and at a slightly higher level of abstraction. What I hope to do in this post is use one particular strand of the arguments being raised to illustrate how different stakeholders focus on quite different issues when they ask the question “is this purchase good or bad”. The real questions to ask are “what is it we care about” and “what difference does the purchase make to those aspects”. What we can do is look at this particular strand of the conversation and what it tells us about the risks, both for SSRN as a trusted repository for a range of research communities, and for the ecosystem as a whole. The strand I’m interested in both illustrates the gaping divide between the narrative on both sides and also because it shows how quickly we forget history. But its useful because it also points us to some criteria for judgement. That strand goes like this: “Elsevier did a great job of supporting and looking after Mendeley [ed. as someone noted I originally had Elsevier here, arguably a Freudian slip…], so you can expect SSRN to be the same”. That’s a paraphrase rather than a direct quote but it captures the essence of a narrative that focuses on the idea that all the fears that arose when Elsevier purchased Mendeley turned out to be unfounded. Except of course it depends which fears you mean. And that’s where the narrative gets interesting. What were the fears for Mendeley’s future? First the credit side. Elsevier invested massively in Mendeley, including a desperately needed top to bottom re-engineering of the code base. It’s not widely known just how shakey the Mendeley infrastructure was at the point of purchase, and without a massive capital investment from somewhere its questionable whether it could have stayed afloat. Elsevier have also maintained Mendeley as a free service for users – many assumed that it would convert to a fully paid model. The free for users offering sits alongside an institutional business offering, but that was already the primary focus of the team before the purchase. Indeed, again for full disclosure I, amongst I am sure many others, strongly recommended that Mendeley should shift its business focus from individual memberships to institutions long before the purchase. Yes, there was a fear that Elsevier would just crush Mendeley, that it would go the way of many previous purchases, but at the very least that would never have been the intention, and many of those fears seem to have been unfounded. As a start-up, Mendeley was focused on building its reference manager workflow tool, gaining a loyal following of users thankful that it made their lives easier. Mendeley continues to evolve from offering purely software and content to being a sophisticated social, informational and analytical tool. Keeping with the Open Access week spirit, we’re taking this opportunity to show you how to publicly share your own research on Mendeley. Making it openly available for others to easily access means they are more likely to cite you in their own publications, and also allows your colleagues to build upon your work faster. When you sign up for a Mendeley user account, a researcher profile is created for you. On this page, along with your name, academic status, and short bio, you will also see a section titled “Publications”. This section is where you can display work you’ve published or perhaps even work that’s not yet published. From 2008 when I met Victor Henning for the first time until 2013 Mendeley was a major, and very public, advocate for Public Access and Open Access. It was a big part of the sales pitch for the service and a big part of the drive to increase the user base, particularly amongst younger researchers. Mendeley provided a means for researchers to share their articles on a public profile and it did this in the context of a service that was useable and gaining traction. Alongside this it made a very public commitment to open data, being one of the first scholarly communications services to have a functional API providing data on bookmarks. It was the future of those activities that many of us feared in 2013 when the purchase went through. So how have they fared? Has Mendeley thrived as an “open access” organisation? Public sharing of articles is long gone. Long enough that many people have forgotten it ever existed. I can’t actually figure out exactly when this happened but it was around the time of the purchase. A chunk of a Scholarly Kitchen post on the sale is very sceptical of how this could be managed inside Elsevier. Now any public links on researcher profiles are to the publisher versions of the articles. Note that shift: an available version of a manuscript was removed from public view and replaced with a link to the publisher website (not augmented, not “offering the better version”, replaced). Certainly Mendeley does not provide any means of publicly sharing documents any more. Has Mendeley retained an individual voice as an advocate of Public and Open Access? Well to be fair there is at least some evidence of independence. This from William Gunn on the STM/Elsevier policies on article sharing at least raises some things that Mendeley was not happy with. But more usual are posts that align with the overall Elsevier position. This on the UK Access to Research Program for instance is a straightforward articulation of the Publishers Association position (and completely at odds with those earlier positions above). A search for “open access” gives this post on “Myths of Open Access“, a rather muted re-hash of a much older BioMedCentral post. The next several hits are posts from before the purchase, followed by the Access to Research post. There is nothing wrong with this, priorities change, but Mendeley is no longer the place to go for full throated Open Access advocacy. What about the API? As was noted of both the Mendeley and SSRN purchases it’s the data that really matters. The real diagnostic of whether Elsevier was committed to the same vision as the founders would have been strong support for the API and Open Data. Now, the API never went away, but nor was it exactly the priority for development resources. For those who used that data the reliability went steadily downhill from around 2013 onwards. What had once been the jewell in the crown of open usage data in scholarly communications was for periods basically un-usable. The priority was working with internal Elsevier data, building the vertical integration from Scopus through to Mendeley to support future products. Outside users (and therefore competitors) were a distant second. Things have improved significantly recently, a sign perhaps of investment priorities changing, but it is also coupled with some other troubling developments that indicate a desire to maintain control over information. Within the STM/Elsevier Article Sharing Policy is an implication of a requirement for information tracking: “Publishers and libraries should be able to measure the amount and type of sharing, using standards such as COUNTER, to better understand the habits of their readers and quantify the value of the services they provide”. Read that next to this post on the LibLicense List on growing restrictions on the re-use of COUNTER data imposed by publishers. Then ask why there is a need for a private mechanism for pushing usage data, one that is intended to support the transport of “personally identifiable data about usage”? Business models where “you are the product” benefit from scale and enclosed data. Innovative and small scale market entrants benefit from an ecosystem of open data – closed data benefits large scale and vertically integrated companies, of which there is really only one example in the Scholarly Communications space (for the future watch SpringerNature and the inevitable re-integration of DigitalScience after the IPO but they’re not there yet). If the argument for SSRN continuing successfully within Elsevier depends on the argument as to whether Mendeley has succeeded within Elsevier, then that argument depends entirely on what you mean by “succeeded”. Mendeley has changed: opinion will divide rather sharply between those who think that change is overwhelmingly good and those that think that change is overwhelmingly bad. About now, one group of readers (if they made it this far) will be exasperated with the “wooly” and “political” nature of the comments above. They will point to Mendeley “growing up” and “becoming serious”, properly integrated into a real business. Another group will be exasperated by the failure to criticise any and all commercial involvement, and the lack of commitment to the purity of the cause. If you fall into one of those camps then it tells me more about you, than it does about either Mendeley or SSRN. Far more interesting is the question of whether each element of that change is good, or bad, and for who, and at what level? Either way, the argument that “Mendeley thrived within Elsevier, therefore SSRN will” is certainly not a slam dunk. What does this tell us about SSRN? 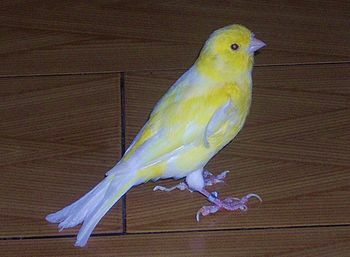 So what of the canaries? What does this tell us about what we should be watching for at SSRN? Certainly the purchase makes sense in the context of establishing stronger and broader data flows that can be converted to product for Elsevier. But what would be a sign that the service is drifting away from its original purpose? It’s those same three things. The elements that I have argued were lost after Mendeley was purchased. Advocacy: SSRN always occupied a quite different space in its disciplinary fields to that of Mendeley, and has never had a strong policy/advocacy stance. Nonetheless look for shifts in policy or narrative that align with the STM Article Sharing Policy or other policy initiatives driven from within Elsevier. Particularly in the light of recent developments with the Cancer Moonshot in the US look for efforts to use SSRN to show that “these disciplines are different to science/medicine”. Redirection: This is the big one. SSRN is a working paper repository. That is its central function. In that way it is different to Mendeley where you could always argue that the public access element was a secondary function. Watch very closely for when (not if) links to publisher versions of articles appear. Watch how those are presented and whether there is a move towards removing versions that might (perhaps) relate closely to a publisher version. Ask the question: is the fundamental purpose of this repository changing based on the way it directs the attention of users seeking content? SSRN is a good service, and the Elsevier investment will improve it substantially. Whether the existing community of users will continue to trust and use it is an open question. I’ve heard more disquiet from real researchers beyond the twitter echo chamber than I would have expected but any reading of history suggests that it will lose some users but retain a substantial number. Service improvements offer the opportunity for future growth, although SSRN already has substantial market penetration, something that wasn’t true of Mendeley and its subsequent growth. It’s not clear to me that integration with the wider Elsevier ecosystem is something that user base wants, but improved interfaces and information flow to other systems certainly are. The real question is the extent to which Elsevier exerts control over information and user flows, and whether it uses that to foster competition or to control it. Note on changes made post-publication: I have modified the initial paragraph because it was pointed out that it could be read as me being dismissive of the quality of arguments being made in other posts on the SSRN sale. That wasn’t my intent. What I had intended to say was that the different sides of those arguments build on quite separate narratives and world-views and that I had seen little evidence of real understanding of what the issues are across the stakeholder and cultural divides. The original first paragraph is below. The response to the sale of SSRN to Elsevier is pretty much entirely predictable. As I noted in my UKSG talk different groups are simply talking past each other, completely failing to understand what matters to the others, and for the most part failing to see the damage that some of that communication is doing. But that’s not what I want to cover here. What I’m interested is a particular strand of the conversation and what it tells us about the risks, both for SSRN as a trusted repository for a range of research communities, and for the ecosystem as a whole. More detailed comments to come, Cameron, but you’ve missed a big part of the picture. You’ve missed it precisely because I haven’t been out there shouting about it. Sometimes advocates forget that progress requires more than just shouting about what they want to see happen; it takes some doing, too. I’ll wait for the longer comment but you’ve kind of illustrated my point. No-one’s arguing that Mendeley hasn’t changed. Indeed anything like Mendeley (or Elsevier) needs to change over time. People can hold different, legitimate positions on whether that change is overall good or bad (or which specific changes are good or bad) based on what they think is important. I have what I think are legitimate concerns about the business strategy of Elsevier to gain as much control as possible over data, data standards and user-flow in the whole scholarly comms system, and the effect that will have over the whole ecosystem if successful. I also know that Elsevier’s investment has been crucial in turning Mendeley into a more focussed and useful service for a growing user base. That focus has involved a shift away from some of the things I hoped Mendeley would achieve, that’s all, and our assessment of whether on balance that’s good or bad will naturally differ.